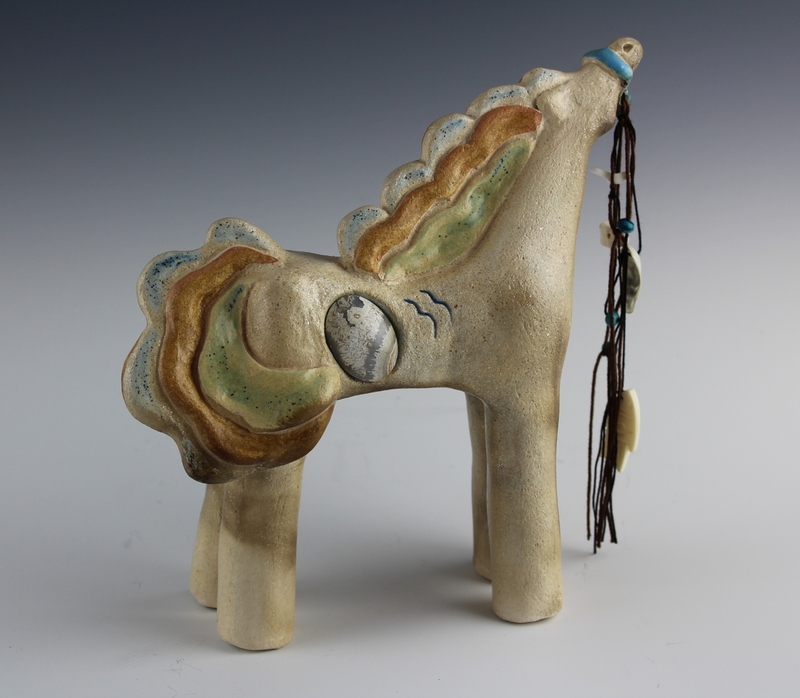 Glazed and smoked white micaceous clay horse sculpture with inset stone on front side, ammonite on the back side. One-of-a-kind creation by Arizona artist, Karlene Voepel. Shipping by the UPS Store is included in the price.